WooCommerce is undoubtedly the most popular eCommerce plugin for WordPress, currently powering over 30% of all online stores. What makes it popular is the basic plugin is free to download and use on your website and is packed full of features to run your own online store. You can extend it with a number of free a premium plugins for just about anything you can think of. Similarly you can also choose from a large number of free WooCommerce WordPress themes so you can change the look of your eCommerce site at the click of a mouse. If you are thinking about starting an eCommerce website using WordPress, you will need to choose a good web host who specializes in WordPress as any downtime or slow loading times can cost you customers. It’s for this reason we recommend that you go with a Managed WordPress host, these hosting companies will cost you a little bit more than a normal shared host but the extra cost is well worth it for the peace of mind you need when running an online business. Most companies will offer one-click installations but it’s also very easy to install WordPress yourself if required. There are many factors to bare in mind when choosing a theme for an online shop, to start making your choice you should pick one which you like the design of initially. Then you need to test the speed of it – a slow theme will cost you in sales, you also need to test the theme out on mobile devices such as tablets and phones. It should have good integration with the top plugins, for instance you will need to use a Contact form plugin, caching plugin, SEO plugin and so on. Other factors to bare in mind are things like who the developer is, are they are a large company or an individual? Do they support the theme or do you have to purchase support or a pro version of the theme. Is the theme regularly updated? You can check this on the WP directory, you can also check the support forum there to see if there are un-answered support questions. These things are important because if the developer abandons the theme and a vulnerability is found, you could end up having your site hacked, the theme might not work with future versions of WordPress or certain plugins and so on. 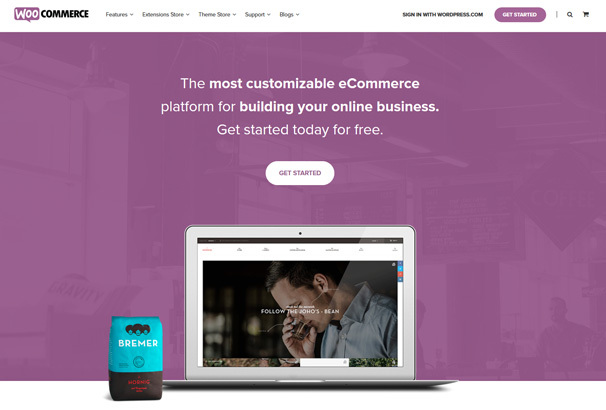 In this roundup post we have hand-picked over 40 free WooCommerce themes for you to download today. 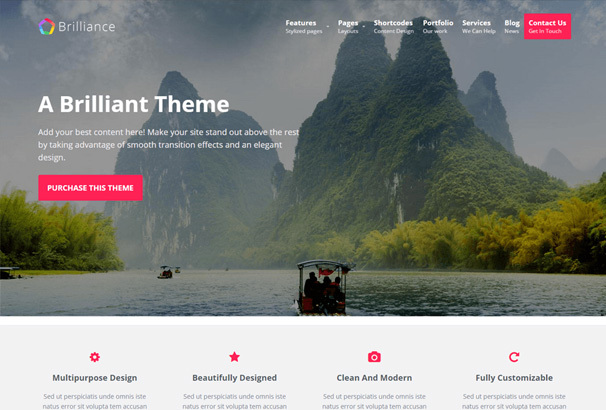 All of these themes are great looking at have been thoroughly code-checked by theme reviewers in the WordPress directory so you know they are safe to use, will not break your site and will work with the latest version of WordPress. 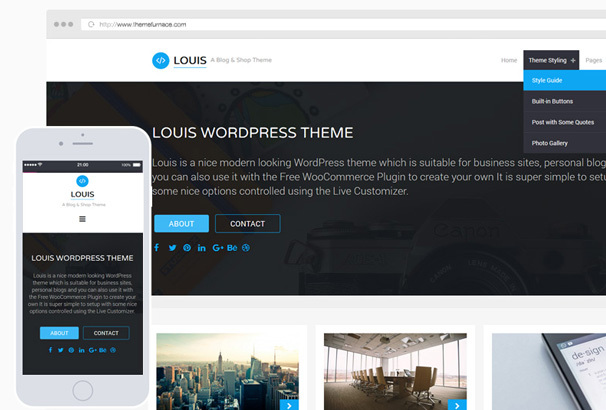 Louis is our very own free WordPress theme which is designed for blogs, businesses and also eCommerce websites – it’s simple, clean and works well alongside WooCommerce and all other major WordPress plugins. 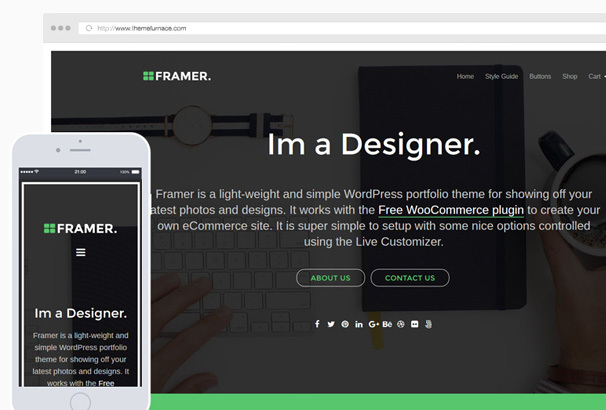 Framer is another of our free themes – it’s designed for portfolio type websites but also works as an online store. You can upload a hero image for the homepage header and use the customizer to change the colors, blur the image and other features. 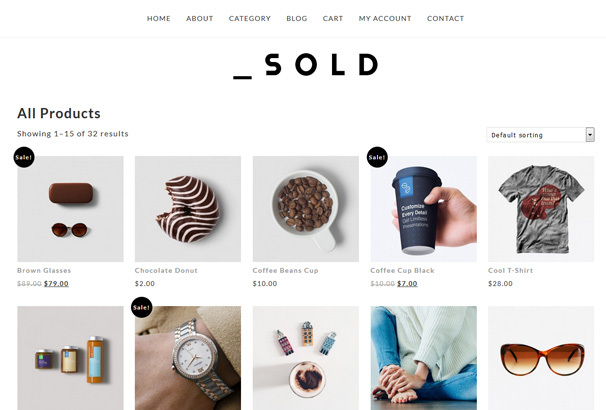 Solid is a minimal responsive theme designed for eCommerce stores and uses a grid type layout for the shop items. The homepage has a bold slider which you can use to display sales offer, featured products and more. 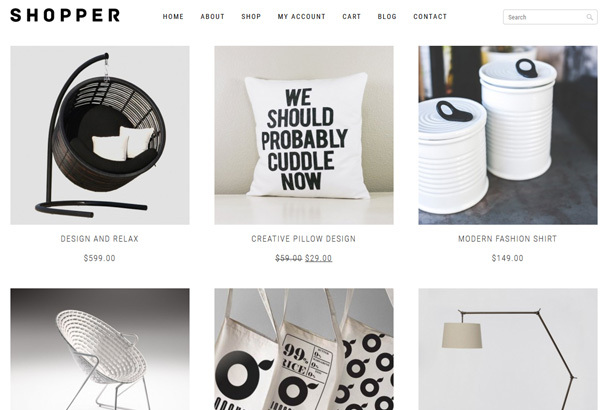 Shopper is another free theme by Desssign and features their trademark minimal styling, grid based homepage to display your products in style. Nice typography, whitespace, neat styling touches are all present and it s well documented with a setup video for you to follow along with. Statement is a child theme for the Generate Press framework which allows you to easily alter the layout to suit your tastes. 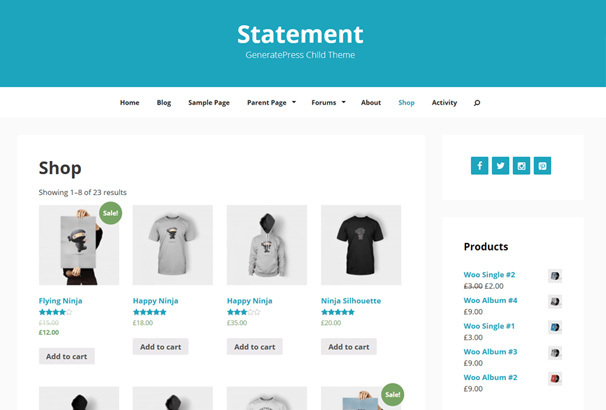 It is a particularly well coded example of a WooCommerce theme with valid markup, scheme.org integration, translatable, RTL support and more. Use this one as the basis for creating your own unique store. 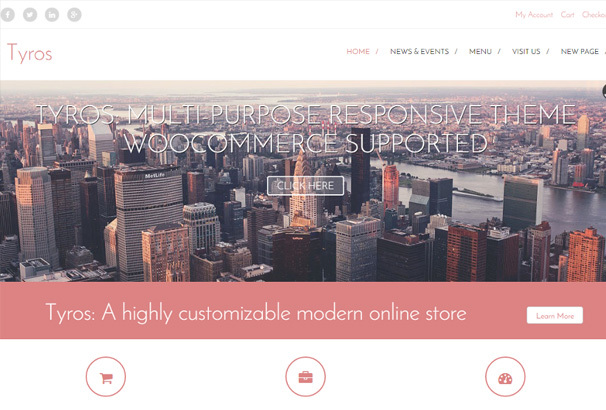 StoreFront is a theme by the creators of WooCommerce themselves and acts as their blank starter theme with deep integration with the plugin and it offers layout and color options, many different widgetized areas, responsive design, well documented code so its the perfect starting point for a developer to create a eCommerce store design. 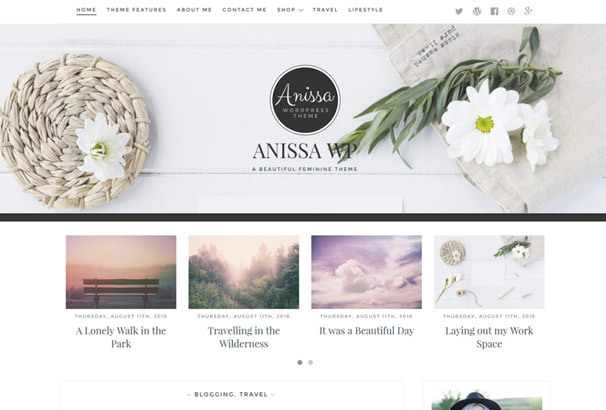 Anissa is a beautiful and clean looking theme from AlienWP, it can be used as a blog or online shop when used alongside the WooCommerce plugin. The homepage has a nice carousel area and nice post styling. It has a minimal design with attractive typography and whitespace and a feminine look to it so it would be perfect for craft shops, homemade goods, photographers and any other business which needs a clean online store. 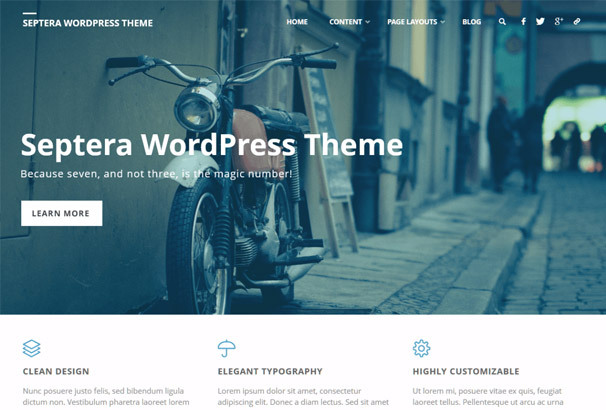 Septera is a very well designed WordPress theme by Cryout Creations, it works as a eCommerce theme, blog, business website or portfolio. The homepage has a large header area, space for different content areas, blog posts and has some lovely looking styling – it’s a versatile multipurpose theme which is well worth checking out as the design and code quality are very high. 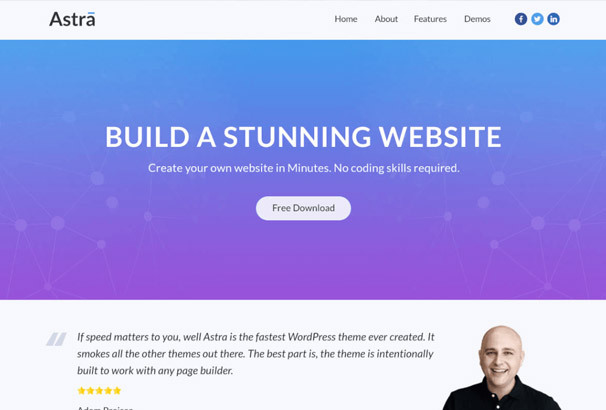 Astra is a fully featured multi-purpose theme with lots of options, a front-end editor, a focus on SEO and fast loading times and makes great use of the WordPress customizer. 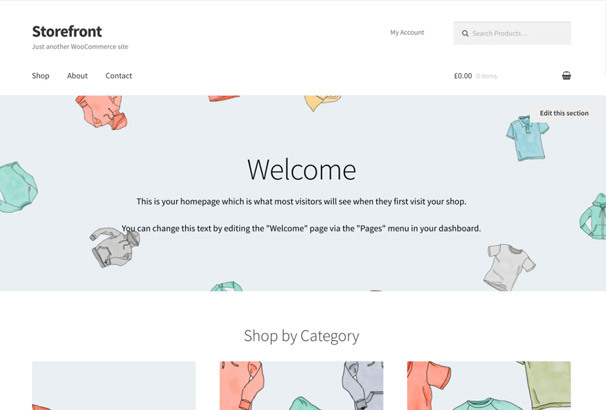 It has plenty of widget areas, special features and page templates so you should be able to build a range of different types of website with it, and of course it works with WooCommerce so you can build your online shop with it. 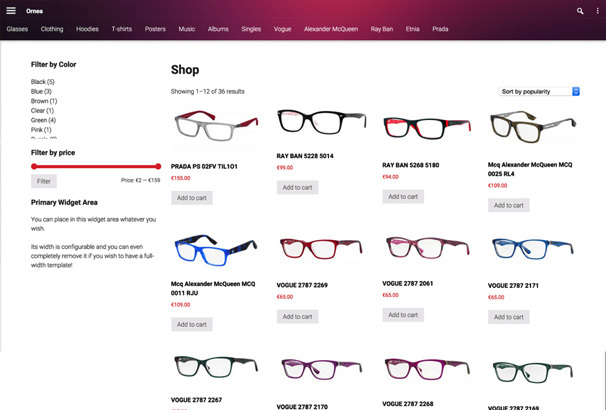 Creattica goes for a slightly different layout then most eCommerce themes and has the navigation down the left hand side and displays the content in a grid to the left. It’s compatible with a lot of the major WordPress plugins and you will find that it works as a shop quite easily with some good looking styling options, neat typography and a responsive menu and styles for mobile visitors. 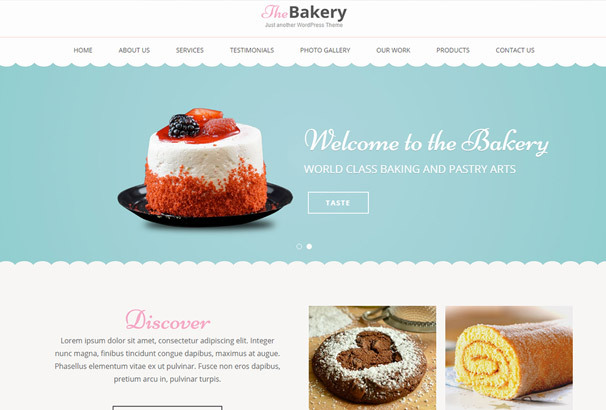 Bakes and Cakes has been designed primarily as a theme for cake shops and bakeries but it can also easily be used for any other type of similar website and will allow you to create your unique web shop with ease. The homepage looks great with a built-in slider and nice content areas where you can write about your products or craft an introduction to your company. Naturelle is a clean and modern looking design created by the people at ThemeIsle, it is aimed at business with a natural focus such as eco, earthy and organic companies. The homepage has a header to display imagery and text and a call to action button, features, news and contact details. The shop uses a grid layout for displaying the items you have for sale. 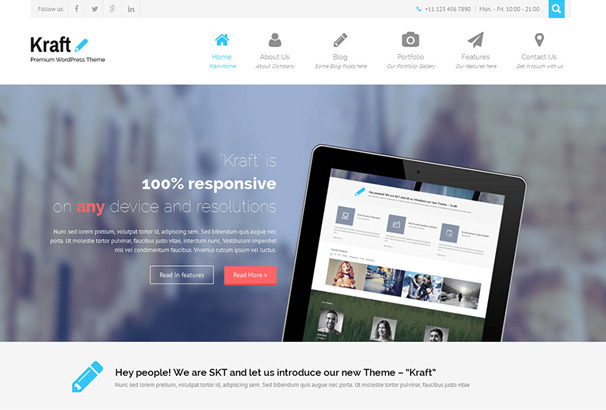 Kraft is a modern and functional looking theme for corporate types of businesses, it comes jam packed with features, page templates, widget areas, styling options, theme customizer and looks great on all size screens and works a treat alongside WooCommerce as well as many other types of plugins. 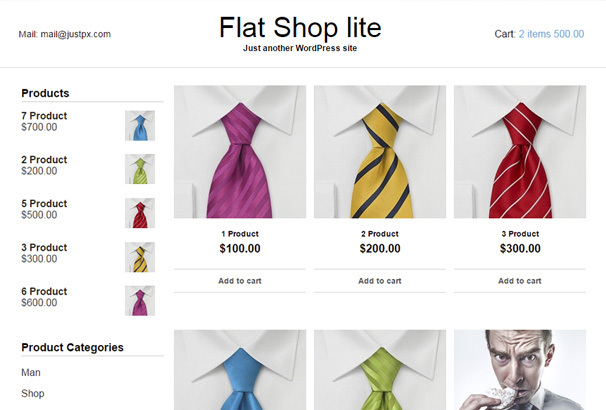 Flat Shop Lite is a basic looking theme with full WooCommerce and Jetpack support, it has a menu down the left side and your products on the right in a grid pattern. Use this one as the basis for building your own child theme on top with extra styling to match your business. 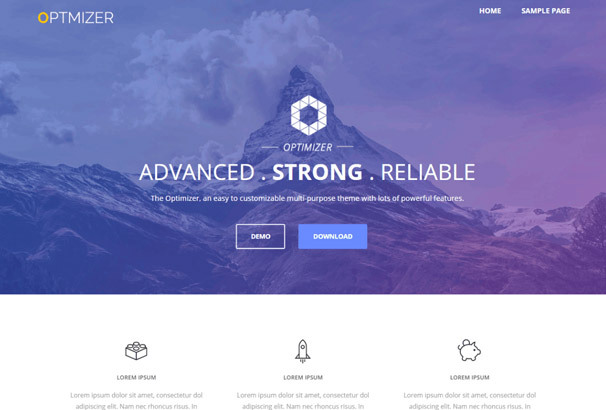 The Optimizer is a top WordPress theme developed by OptimizerWP and comes packed with many powerful features designed to enable you to create unique websites without getting involved in editing code. You can customize the design and content of your website live so you can get a better feel for how the finished website will look. 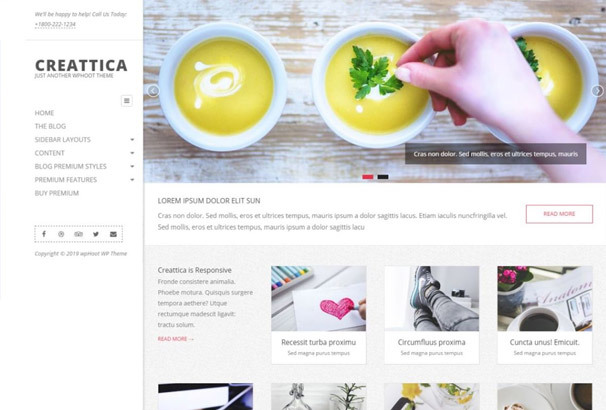 Ornea is a minimal WP theme designed to be used exclusively with WooCommerce, its a simple grid layout with a sidebar and neat responsive styling which you can use as a starter theme for creating your new website. 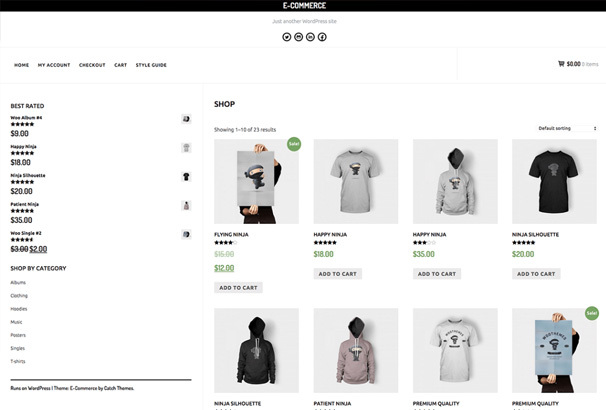 E-Commerce a a very lightweight and minimal designed theme developed from the ground up for WooCommerce by Catch Themes. 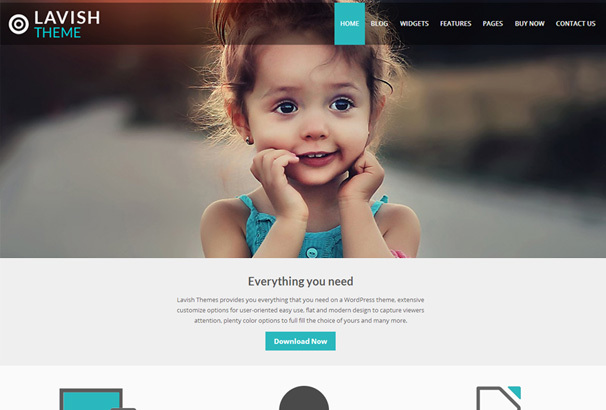 If you are looking for a simple theme which you can customize by way of a child theme then its well worth taking a look at this one. If you need a corporate looking theme then Lavish could be the on you are looking for – packed with features such as responsive design, multiple page templates, layout options, post formats, eCommerce capability, lots of widget positions and lots more besides – all wrapped up in a well designed and coded framework which is child-theme ready. It’s a good platform to build your next website with ease. Brilliance can be used a shop, its also a multi-purpose theme which means you can create business websites, portfolios, information sites, brochure sites and other designs. It’s compatible with a wide range of the top plugins such as WooCommerce, Contact Form 7, WPML, Yoast SEO and lots more. 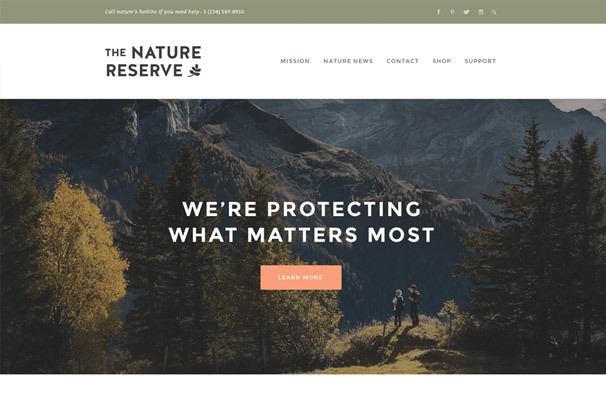 The homepage has a large header area where you can upload your imagery, text and a call to action button for driving people to the most important part of your site. Shopera is a more unique theme with large bold imagery on the homepage, it would be suitable for fashion and clothing related websites or any other type of shop which needs a more magazine style layout. Homepage has a slider and space to show off your latest articles with your products for sale underneath. 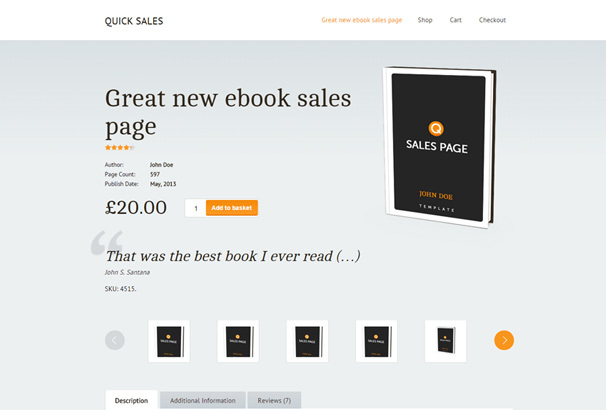 Quick sales is a theme with a simple layout designed to showcase your products right up front for customers to quickly click through to. You could use it to sell digital products such as eBooks. It has a nice simple design which you should be able to customize with your logo and branding to compliment your items for sale. 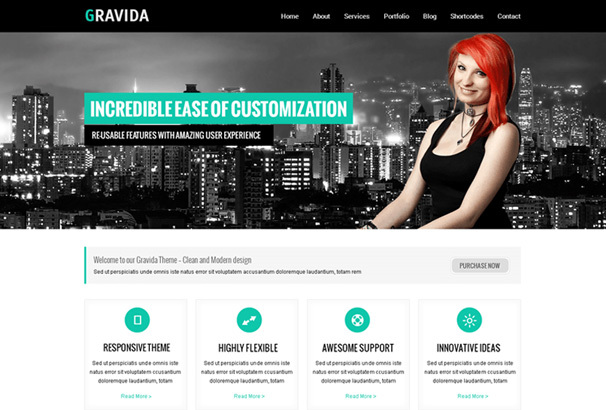 Gravida is another multi-purpose theme with a modern corporate design. It contains lots of theme options and page templates so you should be able to craft many different types of website including eCommerce stores. Comes with compatibility for many different plugins including WooCommerce and Contact Form 7 with suitable styling for each one. Flat Responsive is a clean business theme with responsive layout, different blog layout choices and page templates, post formats, many different positions for widgets and so on. 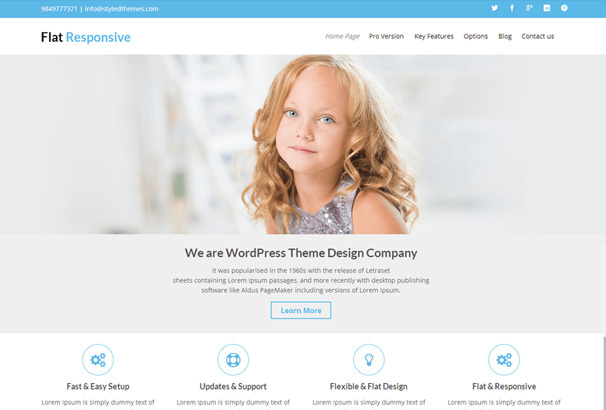 Tyros is a theme with corporate styling, large image header on the homepage with space for text and icons along with social media icons, multiple menus and much more. 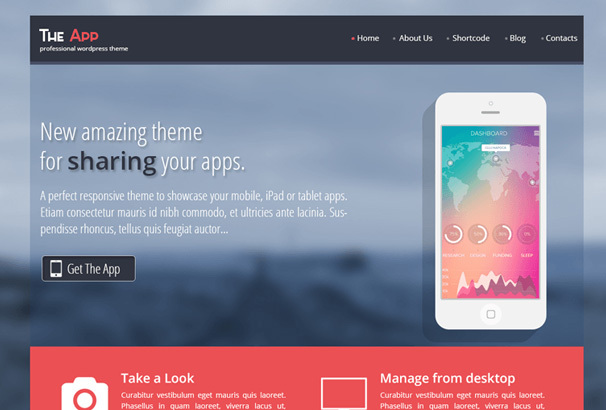 Works as a business theme or a shopping theme and is fully responsive to look good on different sized screens. The App has been designed as a landing page style theme for selling mobile apps or games, you could also use it to sell other types of products which require this style of layout. 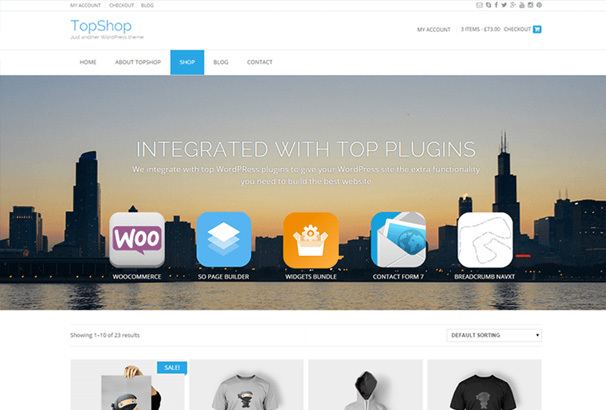 Compatible with major WordPress plugins like WooCommerce and Contact form 7. 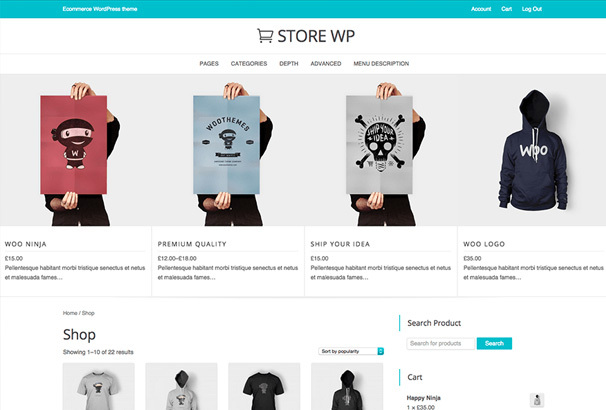 Store WP is a modern and flexible free theme which offers tight integration with WooCommerce and has a nice simple and adaptive layout and design with a products carousel slider on the homepage and lots of customization options available within the WordPress customizer. Supports child themes so you can truly customize it and make it your own by tweaking the design and making it match your shopping brand. TopShop is a modern theme which is suitable for many types of shop – all the numerous settings are packed into the customizer so you can edit the the site in real time and see any changes before you save it. The homepage has a large image header for displaying important information and it has a grid underneath for showing off your items for sale. 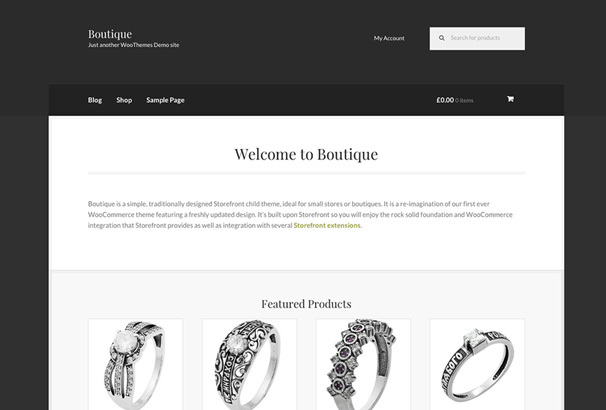 Boutique is a child theme by WooCommerce themselves which is designed to work alongside their flagship storefront theme. It has a minimal and simple layout with neat styling and typography and is perfectly suitable for customizing to suit your needs. 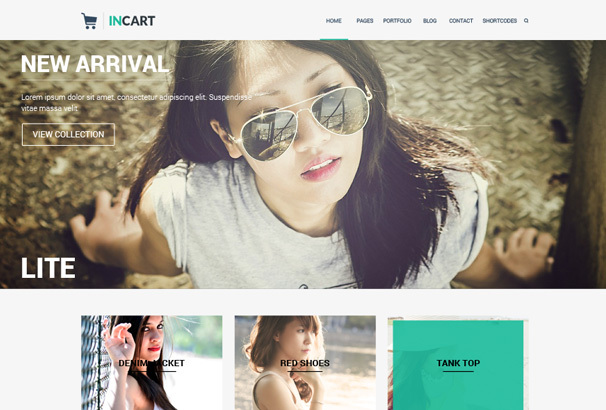 Incart would be the perfect theme for a fashion, beauty or clothing retailer with its neat modern homepage design and parallax scrolling effects. Homepage has a large image area with buttons and text and you can call attention to different parts of your site underneath that. Previous PostThe Complete Guide to Email Marketing Services: Which are the Best Providers? Great.. Will use on my next woocommerce project. This list is very useful and applicable when making woocommerce stores. Thanks for sharing!